New York Bicycling Coalition advocates for pro-bicycle and pro-pedestrian policies and funding at all levels of government; educates New Yorkers about bicycle safety and the benefits of bicycling; provides technical assistance and support to advocates and government entities; and promotes bicycle tourism across the state. 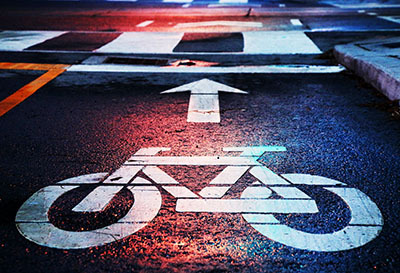 Since 1990, NYBC has worked tirelessly to ensure all New Yorkers are able to ride a bicycle safely for transportation, recreation, and tourism. We partner with local advocates and officials to support safe cycling initiatives in your community as well as provide a unified voice for cyclists about issues that impact all New Yorkers - but we can’t do it without your support. Join NYBC and help make cycling safer for all New Yorkers. 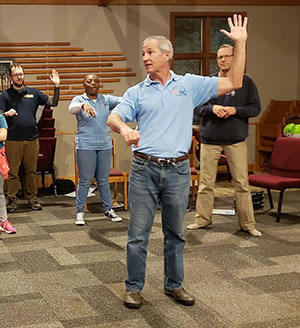 During 2018 Education Director Ken Crandall, Assistant Education Director Tom Polk, and NYBC’s safety ambassadors dropped in all over the state, with a special emphasis on documented crash hot spots. At NYBC our 2018 Appeal is in progress and Chris, a reader on Facebook, made an interesting comment that asks some important questions about what we do and why we do it. What do we do for him right now? 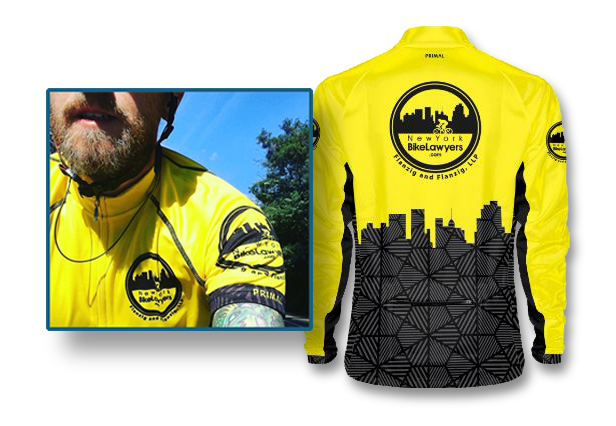 New York Bicycling Coalition Board member Dan Flanzig of New York Bike Lawyers in New York City (www.newyorkbikelawyer.com) will be donating both cycling jerseys and jackets for giveaway to donors in association with the 2018 appeal now in progress. 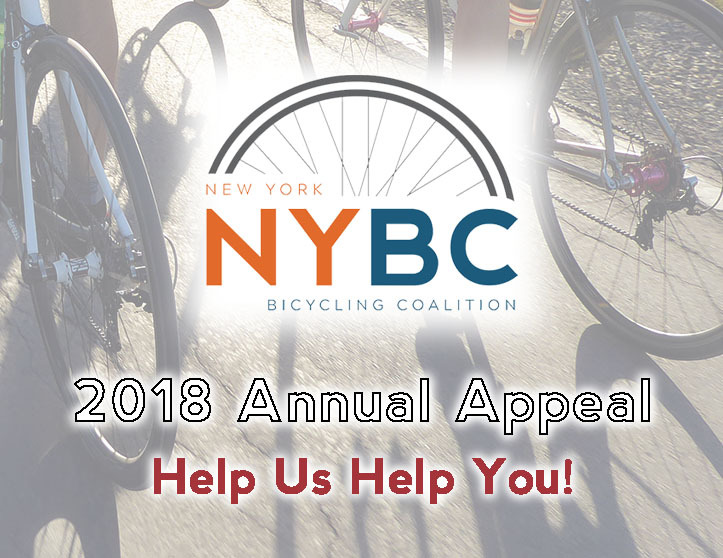 Help us help cyclists all across New York State: Support NYBC! As we near the end of 2018, the New York Bicycling Coalition has a lot to be thankful for, thanks to your generous past support. With your continuing contributions, we will build on this past year’s achievements to do even more in 2019.